We are delighted to announce the new Captain Green’s Space Adventure Golf centre is opening just in time for you to take your partner on a date which is guaranteed to be ‘out of this world’. 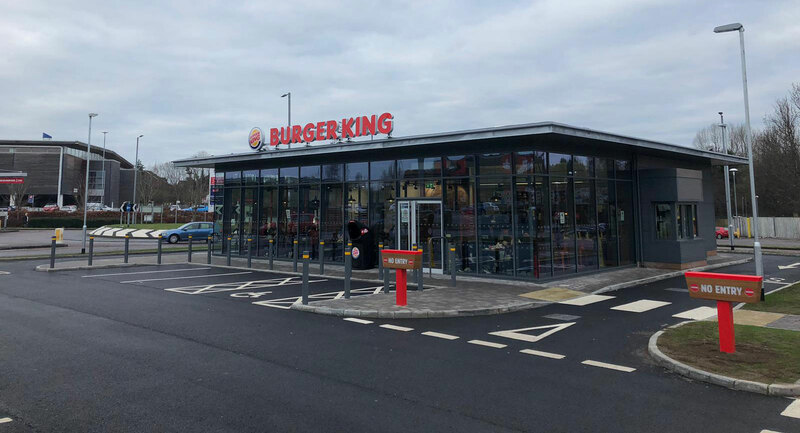 We are delighted to announce that the new Burger King has opened at the Marlborough Retail Park in Craigavon. 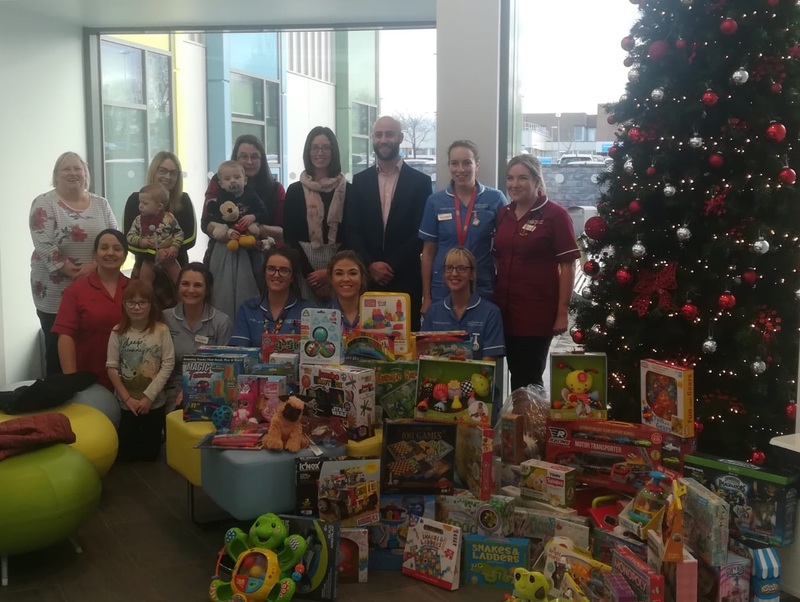 We were delighted to visit the Blossom Children & Young Person’s Paediatric ward with an extra delivery – loads of Christmas presents & hospital supplies. We reached a high target! 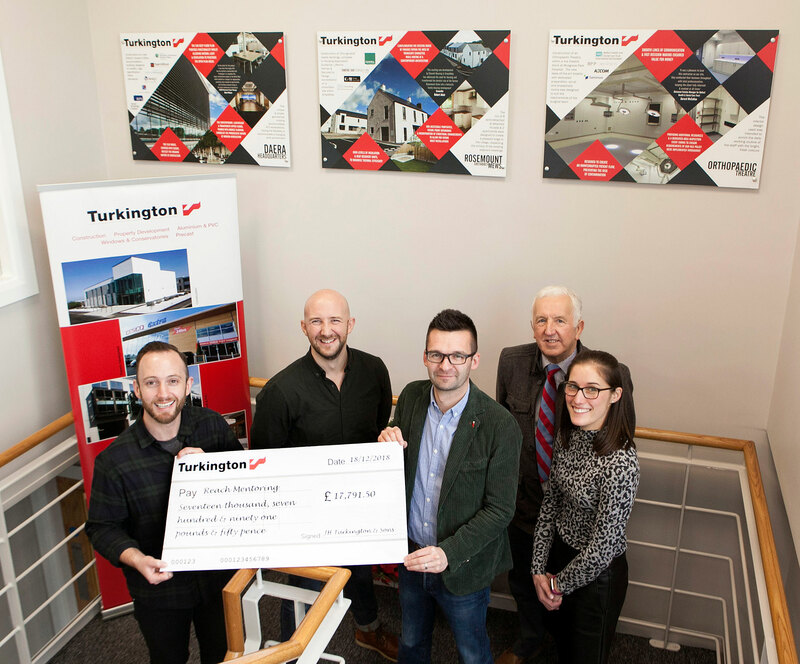 What a privilege it was to present our 2018 chosen charity with £17,791.50. 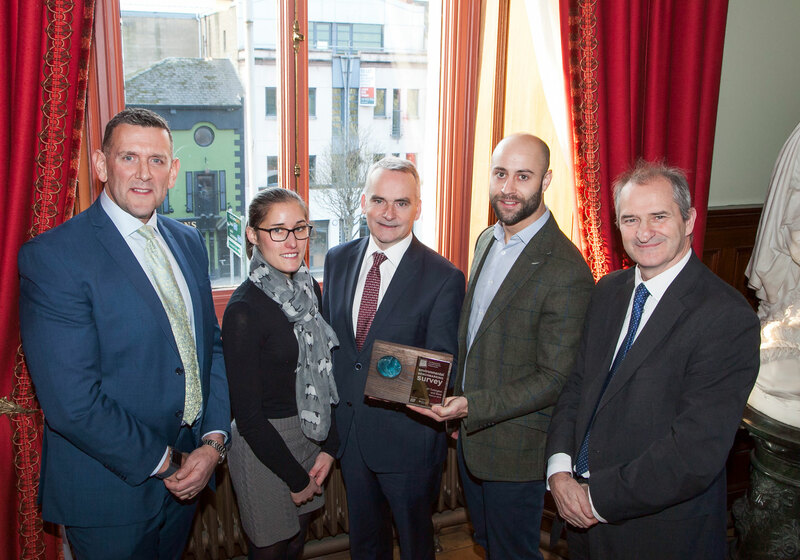 We are delighted to have achieved Platinum status in this year’s NI Environmental Benchmarking Survey. The survey shows our commitment to responsible environmental management. 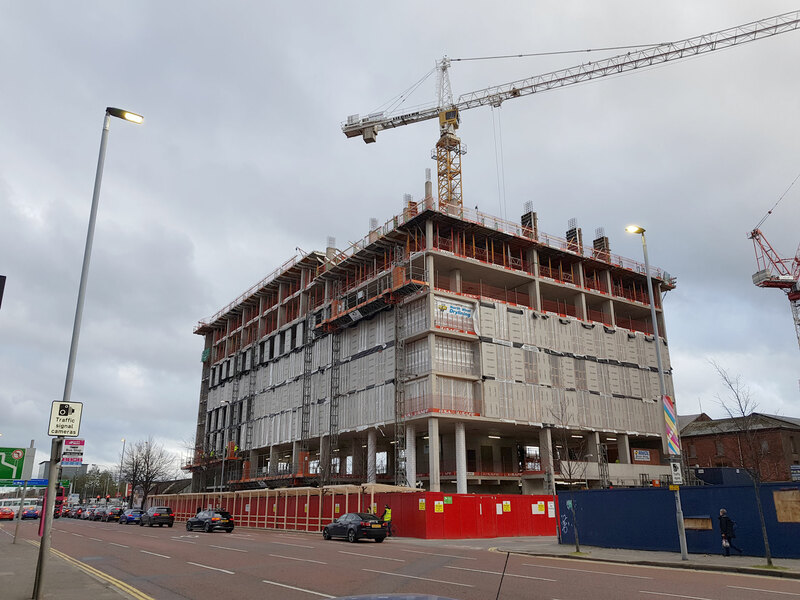 Have you spotted the new student accommodation at York Street, Belfast? This week the first of the curtain wall glazing sections have been installed. 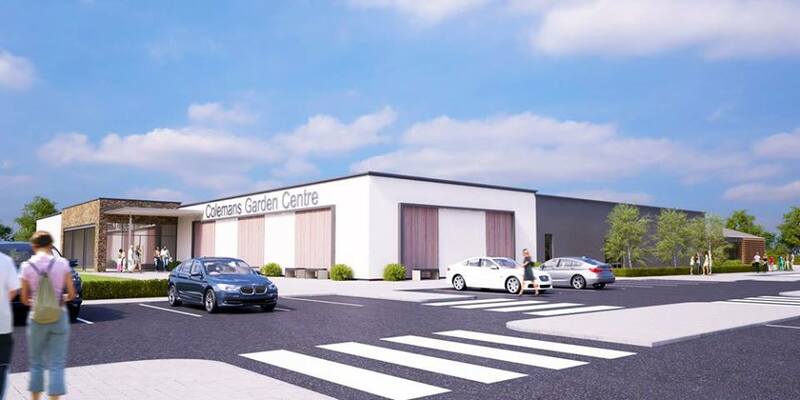 We have recommenced works on the second phase of the Coleman’s Garden Centre project in Templepatrick. 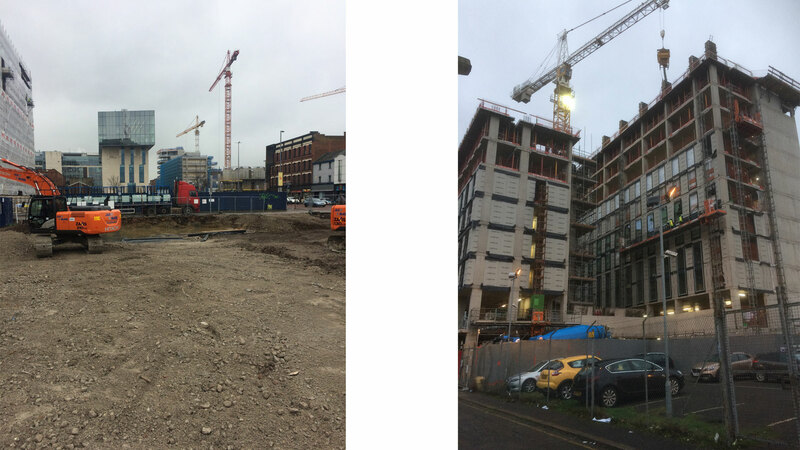 This phase is the creation of an additional 32000ft² of garden centre retail space. 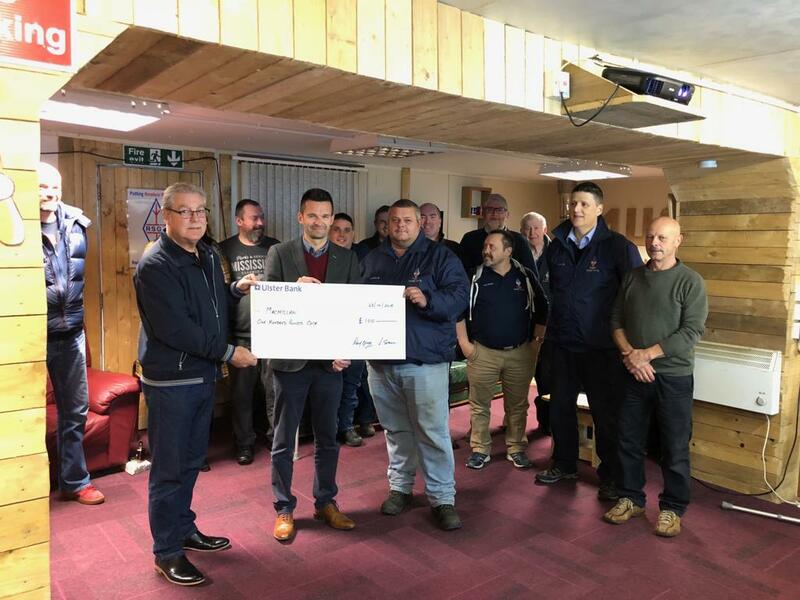 Last week we were delighted to receive a donation from Mid Ulster Amateur Radio Club for Macmillan. Many thanks to the club! Can you remember back to what the old sports building looked like at Portadown College? 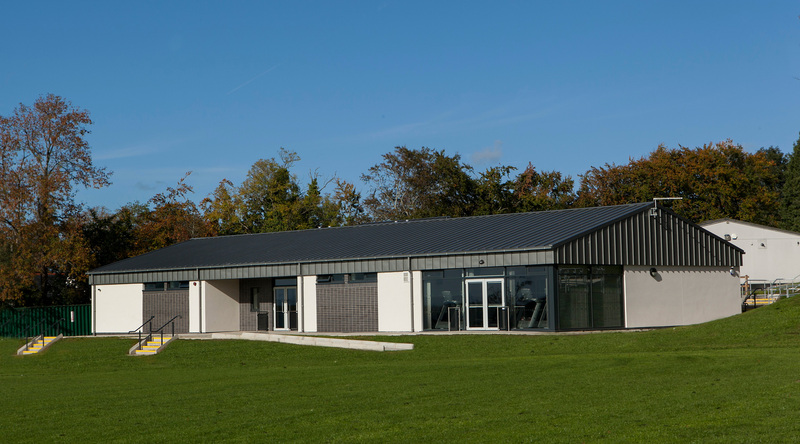 We are delighted to have replaced it & developed this new sports pavilion.